After 3 days of an exciting and diverse sailing race the first MBA Fastnet Challenge has come to a successful end! “Unbelievable that it’s already over” – this was the conclusion of a very tired but happy crew of 12 MBAs from 4 business schools and 4 Team Heiner coaches sitting together at the 24 hour bar at Plymouth harbor right after having finished Rolex Fastnet 2013, one of the four famous 600 miles Rolex races, toasting with champagne. The past couple of days had been very intense in every respect and while the team was proud to be back in Plymouth having arrived in 6th across the line in their class, but 12th position with handicap and 212th overall, most also felt a bit sad that it was all over. After having trained towards this race for months in Holland, Portugal and England including sea survival training, ups and downs in sailing performance, qualification RORC races in the Channel and a torn main sail finally the big race was about to begin. On August 10th everyone met in Southampton for the last preparations on the boat, final training to get rid of any cobwebs, and a last proper dinner on land. On Sunday, August 11th, finally the big moment had come: together with the other 379 boats, the MBA Fastnet Challenge 2013 team embarked upon their boat Team Heiner One (Volvo 60) to the start line for the Fastnet race. The two hours prior to the start of Class IRC Z in front of Cowes (Isle of Wight, UK) were overwhelming, interesting and exciting: Boats from various countries, small to big, beautiful to ugly, manned with professional crews as well as amateurs were circling in the Solent, accompanied by helicopters, spectator boats and ribs taking care of TV and photo coverage. Team Heiner One had a good start and made good progress in nice weather. 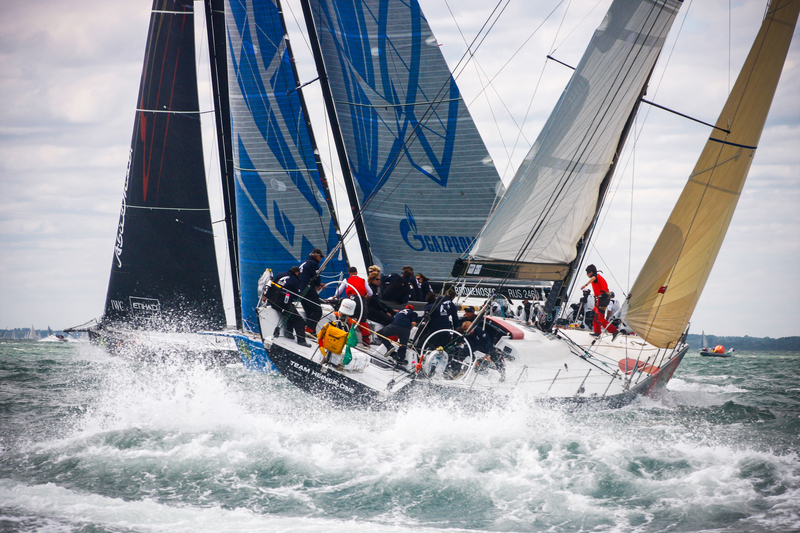 “Light winds and strong tides required every competitor to make their own call with regards to the racing strategy and choice of course,” stated navigator Ben Grosman. So after a couple of hours first the fleet and later also Team Heiner One’s main competitors disappeared to follow their own race, with Team Heiner One pursuing an offshore strategy, following the southern coast of England to the west, crossing the Celtic Sea, then up to the Fastnet Rock off the southwest coast of Ireland. Despite very different race strategies, interestingly enough both Volvo 60s – Pleomax and Team Heiner One – arrived at the same time at the Fastnet Rock and – almost picture book perfect – the two identical boats were drifting in front of the Rock for almost an hour when winds suddenly died. For the rest of the race both boats competed fiercely for every boat length. Often only the top mast light of our competitor was visible in the lashing rain and dark night. While the MBA Fastnet challenge team fought most of the 600 miles upwind, the last 12 hours finally let us sail downwind. Despite the lack of sleep making focus hard, Team Heiner One managed to stay in front of Pleomax and to cross the finish line 6 minutes earlier than its immediate competitors and overall as boat no. 17th overall (uncorrected time = without handicap). Very excited, relieved and happy, the team towed the boat and celebrated. “It was exhausting but I’d do it again any time” sighed co-helmsman Herman De Knop. A proper good-bye dinner, a detailed debrief with Roy Heiner and the planning of a potential MBA Fastnet team for 2015 will follow this fall. Until then, everyone will recover, enjoy the memories and continue to push the other challenge that the team has set itself: Sailing for water – i.e. 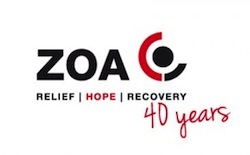 raising money for ZOA, a charity organization that supports people who suffer because of armed conflict or natural disasters, in helping them to rebuild their livelihoods. The money that the MBA Fastnet Challenge team collects will be dedicated to the water supply of the 3 Cambodian villages. Every donation is welcome!